The development of competitive league of legends in the western scene hinges on the infrastructure surrounding teams. Over the course of this season, the idea that coaches and analysts are critical to the team's success has slowly diffused through the NA and EU regions and is currently the most efficient way for teams to improve. However, a proper support staff is a rare commodity, but there are initiatives that Riot can pursue to improve the supply. During the advent of competitive LoL, the teams were run by a group of notable players and friends. There was a direct correlation between a player's mechanical skill and the public perception of his/her game knowledge, because in many ways competitive LoL at the time was only a game, and not a sport. With LoL's rise in popularity, the player base exploded in size and teams like Moscow 5 that embraced strategy and teamwork flourished in a scene dominated by sub-optimal team compositions and lack of cohesion. During Season 3, the main difference between high caliber and professional players in the LCS was the experience in playing together and gaining team synergy. Teams like Coast and Vulcun Techbargains are a prime example of two teams that improved dramatically over the course of the Spring Split. The Summer Split of 2013 introduced the community to Cloud 9, a team that was founded on the principles of innovation and analysis. Their presence and record revealed a gaping weakness in the NA scene. Reacting to dominant teams like Cloud 9 and Gambit, organizations started recruiting top talent to replace their inadequate players. The clash between skill and strategy was represented by the Cloud 9 - Fnatic match at the quarter finals of World Championships in 2013. Fnatic's win consolidated the idea in the western scene for the time being that a strong infrastructure still had a performance ceiling. 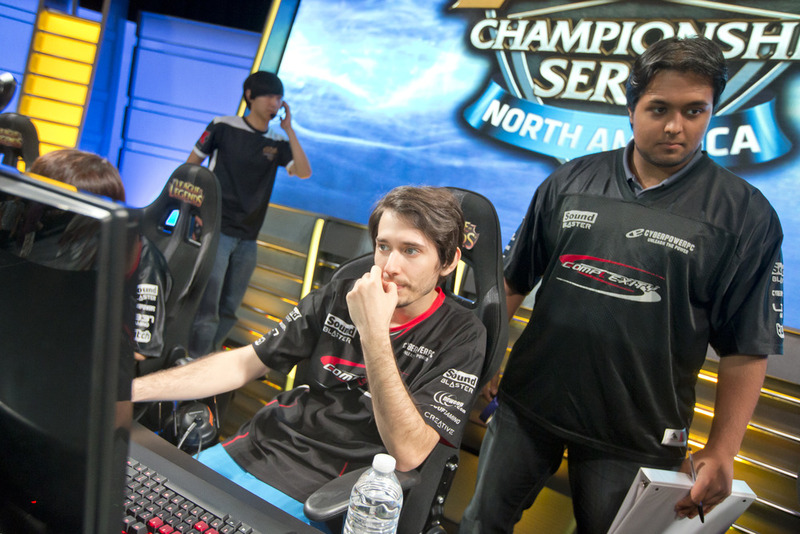 Reactively, both scenes continued to recruit and invest in mechanical players at the beginning of the Spring Split 2014. However, as the split progressed, it became clear that mechanical powerhouses like Alliance had issues with consistency and the renamed XDG, a team with highly skilled players that excelled during Season 3, crumbled under poor team decisions and discipline. Meanwhile, teams like the newly formed SK Gaming, that most analysts dismissed as a bottom team, thrived under the support of their staff and dedication of their players and ended the season 1st in the standings. A combination of events between the end of the Spring split and beginning of the Summer Split in both regions, finally reinforced the the value of a support team as teams started investing in that infrastructure. The number of losses Cloud 9 has sustained this split is partly a testament to the difference in league skill between Spring and Summer in terms of analysis and support. While the NA scene is lauded for initiating this transition, Europe has been keeping pace and teams like Cloud 9 + LMQ are on equal footing with Alliance + Fnatic looking towards Worlds. The western LoL scene has culturally reached the point where the skill of a support team is the most efficient way to improve and compete. This is a scene primed for the introduction of game optimization analysis and coaching. Gameplay Strategy: The support staff should be responsible for helping identify the champion picks and strategies that are both relevant in the metagame as well as complement the established playstyle of the players, as well as adapting to opponents and other regions. While players are responsible for keeping up mechanical skill, practicing combinations and recognizing how the current patch affects their role, the support staff can gather information from other regions, analyze the numerical advantages and opportunity costs for particular strategies and combinations as well as scout relevant opponents. Teamwork/Communication: Team coordination is extremely critical to success in professional League of Legends. While top talent may have the mechanical skill or strategic acumen, effective decision-making and communication is a skill that needs to be developed. Another responsibility of the coach is to ensure that team members are practicing relevant communication during different points in the game consistent with the current metagame in addition to identifying and establishing a hierarchy for shotcalling. Conflict Resolution: Without an established team hierarchy, especially in a group of competitive young adults, there's a high possibility of disagreements between team members, either personal or due to team performance. This can negatively impact the effectiveness of practice, communication, and gameplay performance. The equality of respect between the players sometimes cripples the ability for a member to lead or take a proactive initiative in resolving issues. A good coach should be able to identify sources of conflict and leverage his position on the team to negating them, as well as fostering an open environment for the players to communicate, practice, and perform as efficiently as possible. Good practices: Every team is unique regarding their personality, ability, and motivation. One of the most important goals of a coach is to create a schedule to maintain the well-being of the team in terms of health and mental fortitude and foster it in a way that best suits the team. This allows a team to stay focused throughout the season and inhibits non-game related deficiencies from affecting game performance. Trust and respect between players and support staff are crucial to maximizing the benefit to the team. The first obstacle for teams or organizations in implementing an effective support staff is the appreciation for their efforts. If the players don't respect their analyst's research, coach's directives, or believe they don't require either, the power of that work will yield a weaker impact. Additionally, I personally believe that both the drafting and conduct of certain LCS coaches has been perplexing and disappointing. Firstly, I disapprove of promoting recently retired players to any leadership status because retirement is generally a reaction to personal feelings of inadequacy and/or criticism from the community, a sentiment that is at least subconsciously present in the minds of players. Consequently, it makes little sense to then immediately elevate this member to a position that requires the respect of those same players, who most likely still view them as a peer. Next, while it may make sense to consider players with a history of misconduct to join the team, hiring support staff with a record of juvenile and irresponsible behavior seems questionable despite their knowledge or experience because while players can reform and mature alongside peers and under guidance, coaches do not have that luxury. Finally, some coaches seem to engage in the same acts of frivolity as the players during interviews and forms of social media, that may be entertaining for the audience, but serves to undermine their authority in the eyes of the community and potentially their players. A large majority of current coaches in the western scene are members of the scene and generally have a separate source of income, or they're former players who are translating their in-game knowledge into different role. While players in the LCS are young and have many options such as attending university, the average age of coaches is much older with real life experience and responsibilities. Unlike more established regions, teams generally lack the resources to hire a dedicated coach. Furthermore, while the competitive scene has changed, the audience's perception of the game is still player-focused and therefore coaches get little visibility unless they're already famous in the scene. Addressing Motivation: Coaching or analysis in e-sports, especially for League of Legends in the western scene requires a tremendous amount of motivation. In order to increase the supply, people must be motivated to pursue the position and then have the opportunity to connect with teams and organizations. Short term initiatives would include highlighting coaches as relevant figures on teams via interviews during LCS, short documentaries of team preparation, and articles featuring coaching techniques and analysis. This would provide immediate visibility to the role and its importance to the teams. 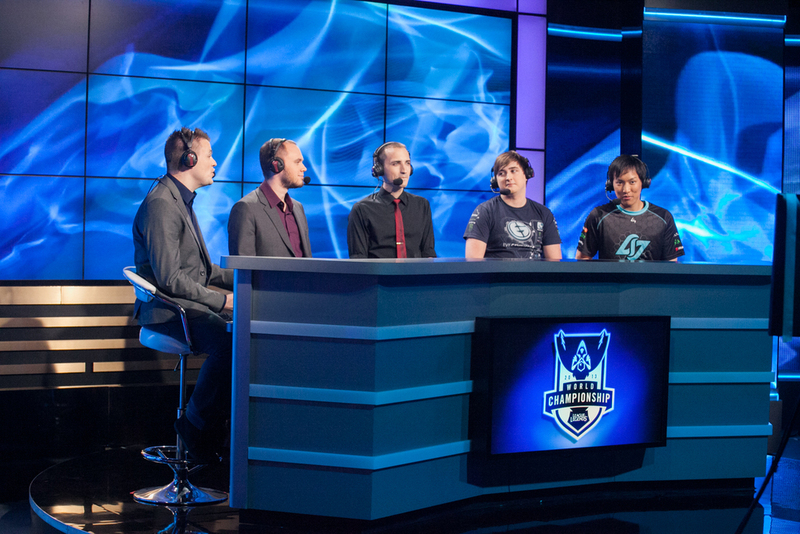 Financial Incentive: While players are paid for their skill and knowledge of gameplay that is put on display for spectators, the support staff of coaches and analysts understand the needs of players, and how to improve the experience from a development perspective, knowledge that has enough value for Riot to merit monetary compensation. Coaches and analysts could spend a small portion of their time working alongside Riot in developing and promoting the infrastructure for professional e-sports, forming a mutually beneficial relationship in which they would gain some financial support for their time and Riot could benefit a lot from their perspective and help. Ideally, this would be a temporary solution until organizations realize the value of these members to invest in them financially. Tools for Success: Finally, in-game modes like a non-delayed spectator slot with limited [restricted to team or player] vision would allow rising coaches and analysts in the community to more efficiently communicate strategies and guide their teams live, instead of the current method of post-game analysis. This would be especially beneficial to rising teams without a dedicated team house, or even casual teams looking to improve. In theory, this could extend to allowing coaches during pre-game decisions in the LCS or time-outs in limited cases [such as a team being aced], but that depends on the direction Riot wants to take the competitive league. I personally wouldn't agree implementing this for LCS because I respect that intelligent players have a place on teams for their contributions and this diminishes their impact, but I can see utility in the idea. After addressing the intrinsic motivational issue by promoting the relevance of support staff, extrinsic motivation of financial stability, and tools for rising coaches to hone their craft, the final issue is instilling the appreciation for the underlying skills that these members require. The next breakthrough in competitive League of Legends is analyzing the game as a battle for resources and leveraging opportunity costs of decisions, as well as targeting optimal combinations and strategies. The difference between many sports and League of Legends is the passion of the fans to understand the game at a deeper level and challenge ideas. It is my contention that League of Legends and e-sports spectators gain an equal amount of utility from discussing and analyzing the game as they do for cheering on their team to victory and revealing more data and analysis would help foster this culture. In the long term, this faction of the community will form the pool of future aspiring coaches and analysts for the teams.